I was sitting at my desk when I heard a bang, a gasp, then the tortured wail of a child in full limbic mode (aka loosing his crap). I turned to see my son holding his face, dragging his cheeks down with his fingers, tears popping out of his bulging eyes as they looked down to the floor witnessing the horror unfolding in front of him. He had dropped the Nintendo Switch in the middle of defeating a beast in Zelda. His reaction was a real thing. He was crying and muttering to himself as he picked it up and put it on the couch next to him. Then, he swung his hands down from his face, they impacted with the device and knocked it from the couch to the floor, sending one controller scooting across the room. The crap hit the fan. And the negative self-talk escalated to point heartbreak. I watched and then intervened with a torn heart. I hate seeing my kid in pain. More, I hate to hear him talk about himself like that. We chatted and hugged, and he went back off playing, but my mind raced. Have I modeled that kind of self-talk? Was he clumsy before he declared himself to be? Was his negative self-talk a painful truth? Or something he's talked himself into, created with his words? I was more upset about his reaction to what he had done than what he had actually done. Our words have power (it seems to be a theme I can’t shake). But without the backup of our blood and bone and sweat and breath, they’re just air. Words and actions are partners, co-creators, besties. I grew up in a faith community that “spoke things into being” at every opportunity. So much declaring and ‘faith-talk.' We weren’t supposed to say things like, “I have a headache, this is hard, I don’t agree, I’m not enjoying this, I don’t think this will work,’ because “what you confess is what you get.” But really, we lived in a loop of denial, and the words often fell flat on the floor. When my son dropped his Nintendo Switch on the floor, he had done something clumsy. He had done something that could have broken a toy he loved. What he said about himself at that moment was true. It was also false. It was building an identity that said, “I’m clumsy, and I’ve got the proof to back that fact up, and this information somehow makes me broken and ashamed.” He was so keenly disappointed in himself, it was palpable. Creative, even. I do the same thing. I’m guessing you do, too (to some degree…). Our actions, or lack thereof, give weight to our words. And vice versa. So how do we speak the truth in faith and love? 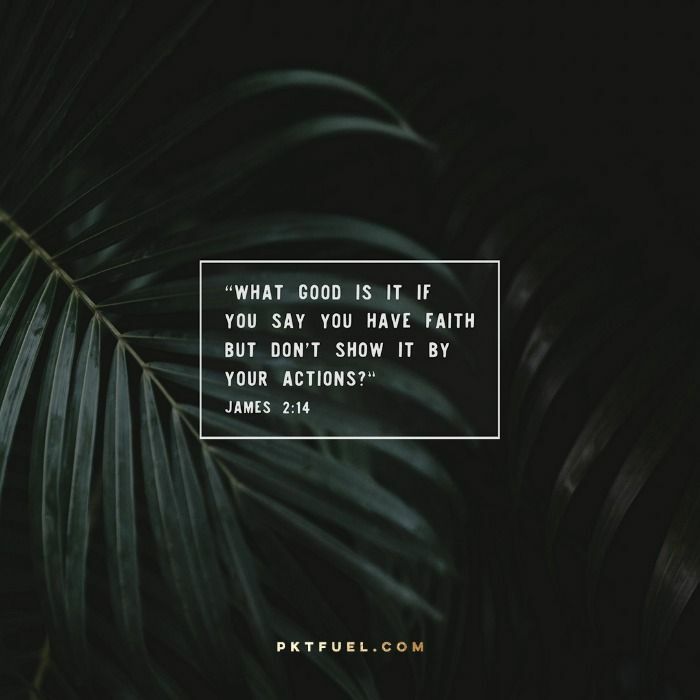 What actions do we affirm with our words? And what do our words affirm about our lives, our bodies, and the world? How do we express our emotions and fears and worries and doubts? “What good is it, dear brothers and sisters, if you say you have faith but don’t show it by your actions?” James 2:14 (MSG).